Montgomery, G. V., with Michael B. Ballard and Craig S. Piper. Sonny Montgomery: The Veterans Champion. Jackson, MS: University Press of Mississippi, 2003. Ralph Nader Congress Project. 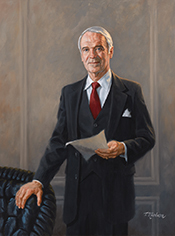 Citizens Look at Congress: G. V. (Sonny) Montgomery, Democratic Representative from Mississippi. Washington, D. C.: Grossman Publishers, 1972.